A Satapuala resident has questioned the legality of the 1983 agreement signed between the Government and their family chief, the late Toalepaialii Toeolesulusulu Siueva. The agreement concerns the Satapuala land, which the Government plans to extend the Faleolo International Airport runway across. 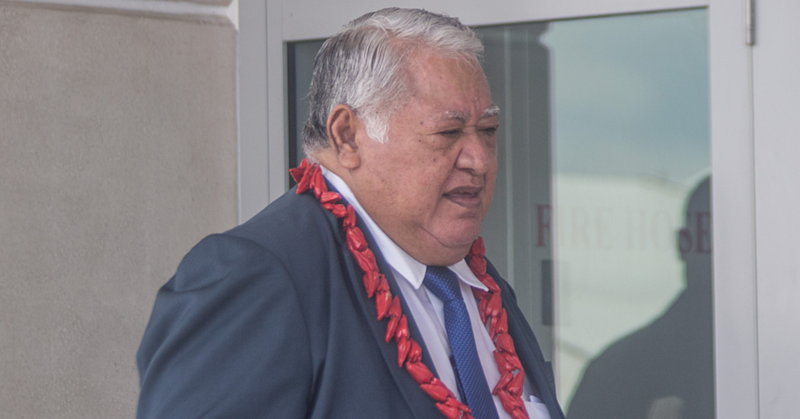 “He is our Chief but he cannot sign for us, we were not even aware of any agreement between the government and our Chief,” Logolelei Su’a said. The 64-year-old mother said her 11 children and more than 50 grandchildren all grew up on that land. “I am not leaving my house, I should have been told by the Government and our Chief about the agreement. “It is true that he was our Chief, but the Government should have done their due diligence and informed us about the agreement. “So I am not moving and I will not let the Government relocate us from a place where we’ve lived most of our lives. “Samoans treasure their lands and Chiefly titles and why would we agree to relocate when this is our land, our inheritance from our ancestors. “We will not leave, this land is rightly ours. 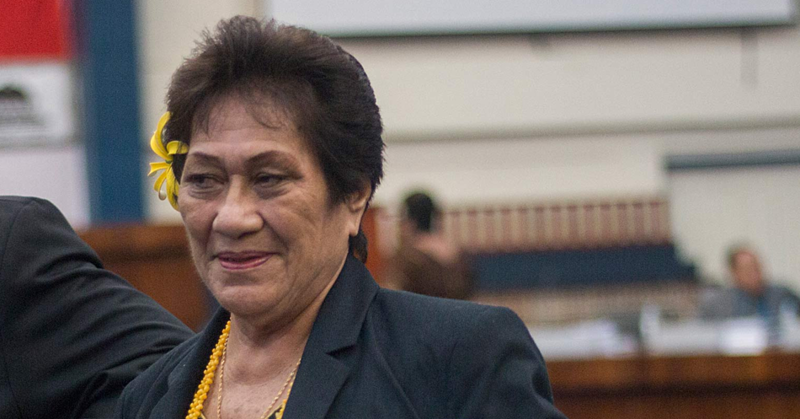 “And until I see an eviction order from the Court, I will never move from here,” she told the Sunday Samoan. Su’a also took issue with the fact that their family received $1,700 for all four faleoo’s and one guest house. “They gave my daughter their value assessment of our homes, which is $1,700. “It is unbelievable, what this Government is doing to our families, relocating us and giving us peanuts? “Look at my kids homes, even though it is not a brick house, but the floors are cemented. “The cost of cement is expensive and they gave us just $1,700 as relocation costs? “As far as I know, I did not sign that agreement and I was not aware so it will continue like that, I am not moving,” she said. There were other benefits of the agreement. “Eight of those tickets have been offered by Polynesian Airlines, and the other two to be negotiated later with other airlines. “This gives Government full control over all the trees grown in the areas concerned in cases of later claims for any trees, etc. Cut down in the process of Government work. 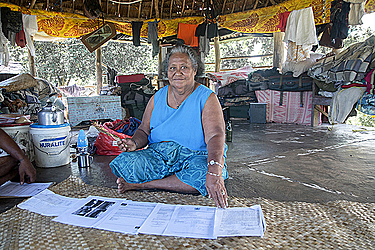 “Toalepaialii also agreed to the ratio of 1:2 offered by Government for their lands. “This Government agreement is contained in C.M (83) 30 of 24 August 1983, in which Cabinet agreed to the proposal from the Minister of Lands to take 23 acres at the eastern end of the airstrip for strip extension etc. “It agreed also to the Acting Prime Minister discussing with W.S.T.E.C. the possibility of W.S.T.E.C. transferring 46 acres of its lands to land owners who will be affected. “The villagers are free to occupy their land for the time being until the completion of upgrading and extension of the present nursery and T.S.T. 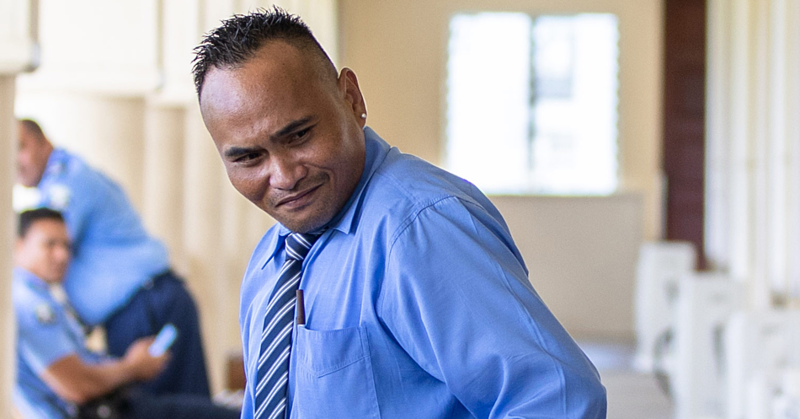 re-negotiates the matter as to compensation for their food crops such as breadfruit, coconut, etc.